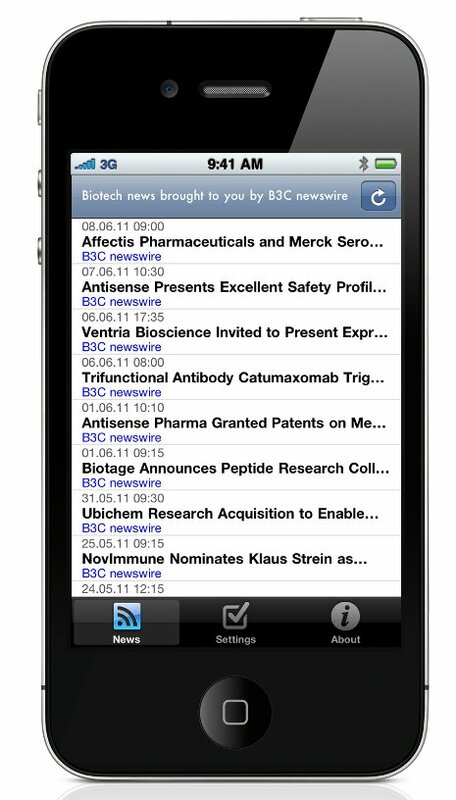 B3C newswire makes all biotech/pharma press releases available to mobile users of the iPhone and iPod touch and Android devices. 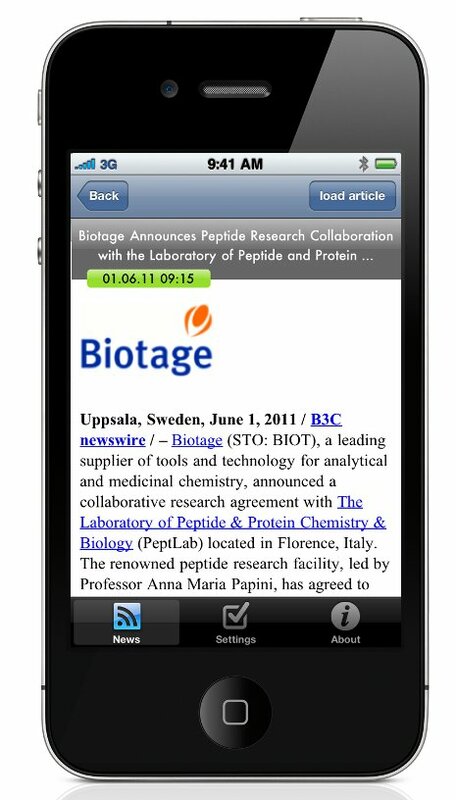 With our free and highly customizable biotech news app users can have immediate access to the latest biotech and pharmaceutical news and press releases distributed by all major news sources. 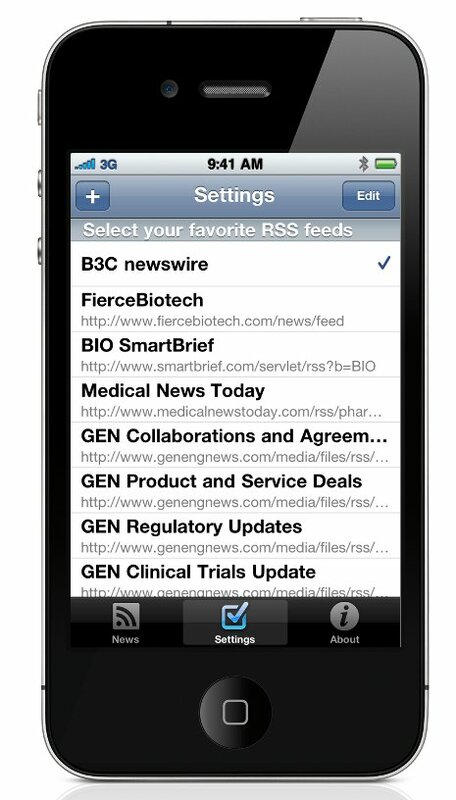 Pick from our pre-selected biotech feeds or simply add your own favorite RSS feeds to catch up with what’s going on anytime and anywhere. 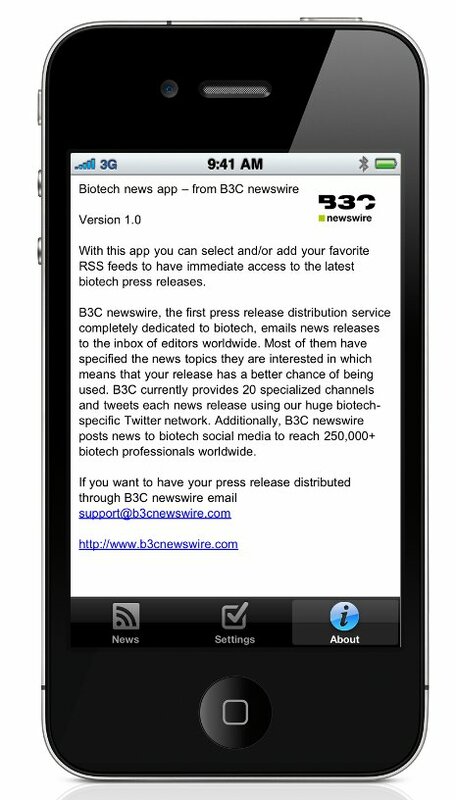 If you like the B3C newswire app, please consider writing positive reviews on the App Store or Android Market.